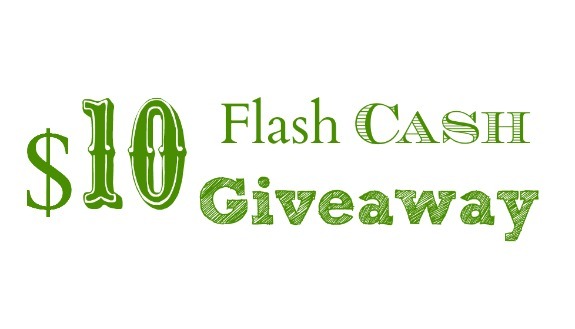 Beautiful Incentives: $10 Flash Giveaway! Who wants to win fast money? Greta from How was Your Day is offering up a cool $10 for one lucky winner! This giveaway is only 3 days long so get your entries in. Good Luck! It's the weekend, and there's not much that's better than that, is there? Well, maybe one thing, and that's money! To that point, I'm giving away $10 of cold, hard cash. That's right! It's enough to go get a snack, treat, a couple bottles of nail polish, an adult beverage, or pay for your blog hosting for a month. Payment will be made via Paypal. If you don't have a Paypal account, winner can choose a $10Amazon gift card. Enter to win in the Rafflecopter after the jump! Please give the wonky rafflecopter 10 seconds to load. Thanks for your patience! I love drinking right after a tough, long day of practice. It's so refreshing! So good after a 5k run on the treadmill. drinking a nice bottle of water right after i am done working in the yard. My feel good moment is knowing I am keeping my kidneys as clean as they can so I don't get any more kidney stones. My feel good moment is replenishing thirst with a drink of water!